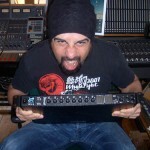 SAFETY HARBOR, FLORIDA – JANUARY 2017: Before 2013, Rob Caggiano was perhaps best known as the guitarist for American heavy metal behemoth Anthrax, a position he resigned in 2013 on good terms to follow his passion and broaden his horizon musically. Although it wasn’t part of any kind of premeditated plan, Caggiano almost immediately joined the Danish heavy metal behemoth Volbeat and has remained with the band since, not only to shred their solos, but also to write solos and songs of his own with them. What’s not so well known is that Caggiano won both positions as a producer and engineer and that he continues to bring great music into the world in that capacity with his trusty – and extremely portable – Metric Halo ULN-8 interface. “It’s an entire studio in one rack space!” Caggiano said. READING, MASSACHUSSETTS (USA) - December 10, 2016: DawBuffet is the music and audio software information site founded by Nick Batzdorf, former editor-in-chief of Recording magazine and then editor/publisher of Virtual Instruments magazine, and a self-described long-time Metric Halo fan and 2882 user. 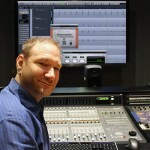 He and fellow audio enthusiasts created DawBuffet as a place "where you feed your DAW and discover new ways to get the absolute most out of it." 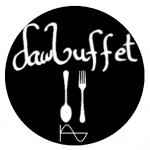 DawBuffet offers "the best instruments and tools available, at the best prices, along with professionally-written articles." SAFETY HARBOR, FLORIDA: Vahagn Stepanyan is a talented music producer, arranger, composer, and keyboard player from Armenia who has fully embraced the promise of long-distance collaboration. 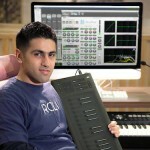 He regularly collaborates with Turkish mixing engineer Alen Konakoglu. He and Vahagn completed projects with musicians from nearly fifteen different countries, including Eric Marienthal, Nathan East, Eric Moore, Anthony Crawford, Mark Lettieri, Adam Hawley, and Jack Thammarat. 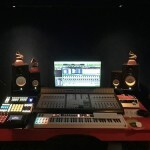 In addition, he handles the YouTube post-production for Chaka Khan's bassist Melvin Lee Davis and works with Grammy-winning mastering engineer, Evren Goknar and some others. Vahagn is also a Grammy Recording Academy voting member and recently signed on to score and arrange soundtracks for sixteen documentaries produced by Armenian Public Television. Bill Evans is an interesting guy. As of October 2016, he will have a PhD in music technology from Manchester Metropolitan University/Glasgow University for an innovative new model of music production called Belexes. Advancing beyond the digital audio workstations (DAWs) of today, Belexes is a virtual audio workstation (VAD) that uses a technology Evans developed called a Volumetric Haptic Display (VHD). As with a computer monitor that displays light, and a speaker that “displays” sound, the VHD projects 3D objects into space with enough force that you can rest your hand on them in mid-air. He uses this technology to create a customized user interface that users can touch and use in space. Remember the movie Minority Report with Tom Cruise? Imagine that instead of (supposedly) solving murders before they happened, Cruise was mixing the cutting edge in progressive rock/pop on those crazy floating computer interfaces… then you have an idea of what Evans is up to… and what you may be up to in the perhaps not-so-distant future! SAFETY HARBOR, FL (USA) - October 2016: In this video, Metric Halo's Jon Stern demonstrates how you can gain control over the dynamics of your mix in ways not possible with traditional compressors. MH TransientControl distinguishes between the attack, sustain and release components of your sound, letting you control them individually. Add more snap and body to your percussive sounds, texturize your foundation tracks, and have more control over what stands out in your mix. 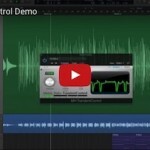 A touch of Transient Control can add sizzle to a final mix The default UI is simple yet powerful, and can be used to shape your transients quickly. Expanded views provide a scalable readout and advanced controls to redefine the way that the attack and sustain elements are detected by the plug-in. Is MH TransientControl for you? CLICK HERE to learn more. 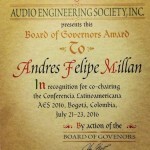 LOS ANGELES, CALIFORNIA: Metric Halo congratulates Andrés Felipe Millán Silva, on receiving the distinguished Audio Engineering Society 2016 Board of Governors Award during the AES Los Angeles 2016 | 141st AES Convention (September 29 - October 2, 2016). This award recognizes Andrés for his work co-chairing the AES Latin American Conference in Bogota, Colombia July 21-23, 2016. Please comment via Facebook, and join us as we congratulate Andrés on receiving this honor! From the start, Martínez was fascinated by the technology used to create music and was a (very!) early adopter of the computer’s role in the process. SAFETY HARBOR, FLORIDA (USA) - September 2016: Metric Halo announces their complete product line is ready for macOS 10.12 (Sierra), slated to launch on Tuesday, September 20, 2016. Please visit http://www.apple.com/macos/sierra to learn more about macOS Sierra. Please visit http://www.mhlabs.com to download the latest Metric Halo installers, compatible with macOS 10.12 (Sierra). 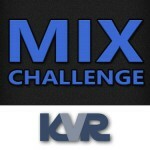 Congratulations to the winners of the KVR Mix Challenge #24 - Including R. Ortenzi, who just picked up a MH Precision DeEsser plug-in for AAX/AU/VST! "In this article, I’ll show you how to use a subharmonic generator, the excellent (and free!) 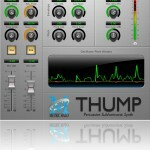 Metric Halo Thump Percussive Subharmonic Synth plug-in, to make your kick drum track sound more powerful—while also reinforcing your song’s harmonic structure."